This layered work of a ‘reactivated archival material from former Bodenwieser dancers including Shona Dunlop MacTavish, Hilary Napier and Hilde Holger’ is presented as an itinerant event with audience members following dancers and narrator as they move through the out-back, off-stage spaces of the Q Theatre complex. Spoken introductions are interspersed with fragments of dance by couples and triples in stairwells, corridors and half-way spaces that suggest history is at best caught piecemeal and personally. Film and sound excerpts are included en route but you receive all these as random mosaic rather than linear sequence. The audience finally assembles in the foyer for the projection onto a split screen of fragments from Bodenwieser dancers, paralleled with new sequences by the present performers, who are members of the New Zealand Dance Company. I personally would have appreciated more sequential use of that historical footage, with identification of who and what we were watching. Bodenwieser unleashed and encouraged such expressionist commitment from her dancers, a quality that today’s performers would do well to be reminded of. I would have dearly loved to see a performance of a complete short work, say Bodenwieser’s Demon Machine, from 1924, interpolated into Lost + Found. (It’s not impossible. This after all was a highly acclaimed, prize-winning work in the same choreographic competition in Paris that saw Kurt Jooss win first prize for his Der Grüne Tisch/The Green Table. Dunlop is alive and spirited still today, and was in fact present at this season. Brown was herself in an early New Zealand staging of the work in 1970s, as were students at New Zealand School of Dance in 1980s, and reconstruction can be aided by the fact that the choreography also exists in Laban notation score). ‘The machine gains ascendancy over the souls of the people instead of man dominating the machine. The vital problem of our age’ … reads the original 1924 program note. More than 90 years later, there is resonance in our age of digital burn-out that represents so much contemporary communication. 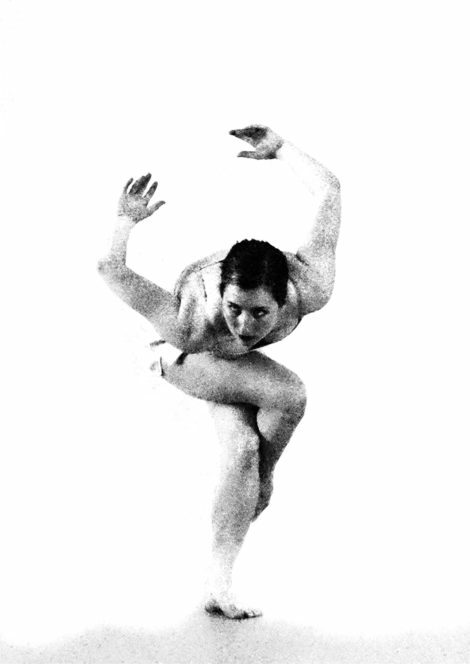 The arresting image on the program cover, of Shona Dunlop in her own solo, Two souls alas, reside within my breast (as I recall, this was the first choreography not by Bodenwieser in that company repertoire), is collaged with the ecstatic backward lean of Dunlop as Cain in Cain and Abel, but both these images remain unidentified and uncaptioned. Many of those attending will have found the mystery and unpredicability of this work an engaging and refreshing experience. I personally find some degree of distraction in the encounters with other audience members that are inevitable as we move from space to space, and from the curious tone of narration that accompanied the work. That said, I did catch some fragments of exquisite intertwined arm movements by two women in the stairwell, and wouldn’t have missed it for the world. Perhaps history is made up only of such fragments and memories?